So ask yourself – do I feel lucky? In this wet humid weather truthfully I feel more uncomfortable-dirty-hairy than lucky. And with not a holiday in sight, I decide to go for the next best thing – and escape to Mexico. Kind of. Located in the heart of the Merchant City on Bell Street, Poncho Villa is a fantastic and friendly eatery offering a vast selection of tasty Mexican-inspired nosh. Its aromatic food and bold, bright surroundings are topped off with some of the friendliest staff in Glasgow. With such an extensive menu, our biggest challenge is deciding just which of these tempting dishes to get. Of course Sangria is a must. We start with the Nachos (£5.75) and finish with the Vegetarianas (£10.95) and King Prawn (£13.95) Fajitas that can only be described as heaped up, hearty, delectable deliciousness bursting with flavour. And while we’re too stuffed to take on dessert, when in the Villa, Tequila also goes without saying – especially when there are so many on offer. In fact if – like me – you’re not actually much of a Tequila drinker, you can opt for the refreshing Tequila rose liqueur served on ice; it’s more like a strawberry Baileys than biting slammer . 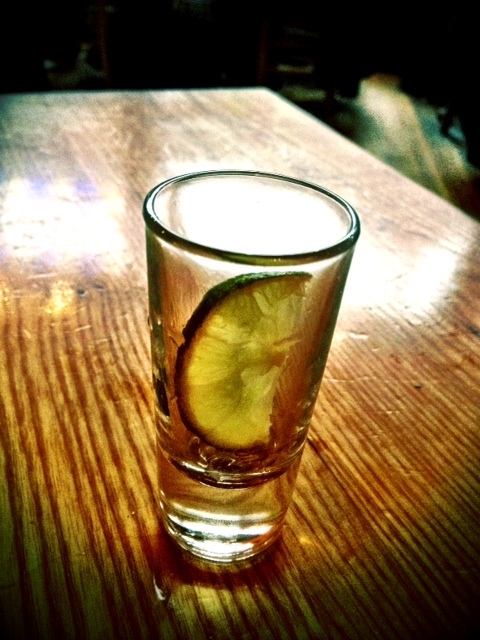 However if you’re feeling particularly daring like my companion, you may want to try out the Tequila mescal – complete with worm if you so desire. 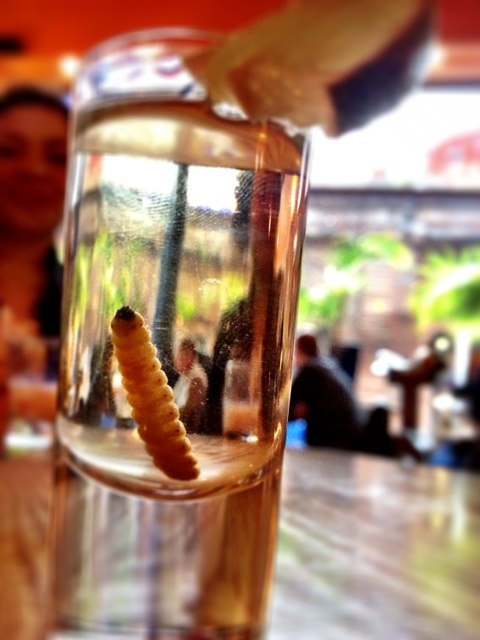 Watching someone face-off with the larvae in their drink is rather entertaining. In the end he opts to swallow it whole all in one go. And while the worm doesn’t transport his mind to some far off place – it does give him bragging rights to eating a dirty hairy larvae. So shake off the humidity and revolutionise your taste buds with something extraordinary. Worm optional. And if you decide to celebrate a big day at Poncho’s you’ll be treated to a Mexican extravganza complete with sombreros – and the lucky birthday boy or girl gets to keep their hat.